How would you like to die? How often do you ask your clients this question? “What would we be doing now if you had died last night?” is a question one South African financial planner likes to ask early in a meeting with a potential new client. It captures the essence of why financial planning is such a critical profession, and why I think to be a financial planner is such a privilege. If done well, and with the right intent, it takes you right into the core of the life of every one of your clients. After all, who likes to talk about death? Very few of us do. It’s something definitely to be delayed and preferably avoided. Who hasn’t in a moment of quiet optimism thought that perhaps they’ll be the exception to prove the rule? 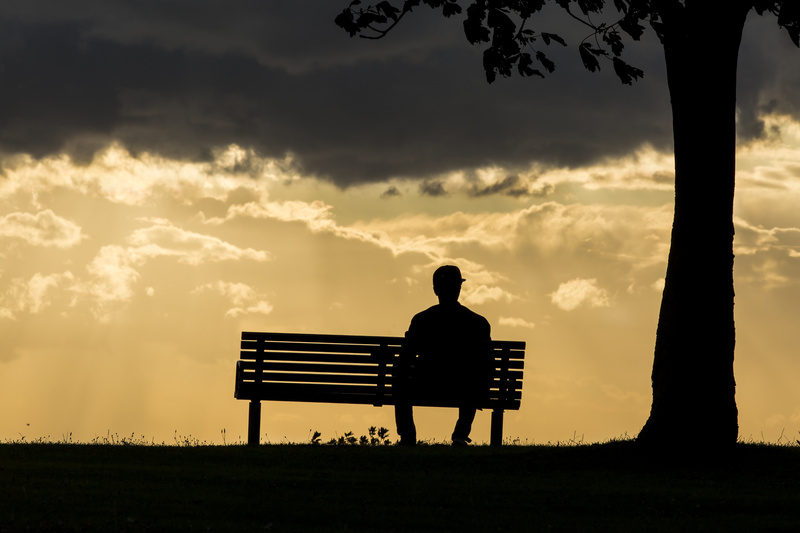 While doctors focus on getting people healthy and most often trying to delay death, financial planners have the responsibility to ensure that people accept that death is inevitable. The Will. The Letter of Wishes. The Estate Plan. Life Insurance. All critical tools in the financial planner’s toolbox that helps you ensure that your client is prepared for the inevitable. Yet one aspect of the conversation about death that both doctors and financial planners appear to avoid is a discussion on how a client would like to die. I’m not referring to the ongoing debate about euthanasia. Rather that very often people at the end of their lives have treatment that delays the inevitable, slightly, but has dramatic lifestyle and financial implications. The recent death of ANC stalwart “Uncle Kathy” Ahmed Kathrada is a case in point. He had a stroke at the age of 87. As a result he had brain surgery from which he never recovered and died in hospital. The trauma. The cost. Without knowing any more detail of his situation, I wonder whether a more comfortable way for him to die would’ve been at home, without surgery, surrounded by some level of familiar comfort and support. Less trauma. Less cost. Of course there are instances where surgery in situations like this can extend lives for years. The question is, are all possible outcomes discussed and considered first, or is it automatically survival at all costs? This dilemma at the time of death confronts most families at some point – whether it involves a grandparent, parent, or child. The problem with resolving it is that few families have had a discussion about how to handle a family member’s dying process before it happens. It is no surprise that the urge to survive kicks in when the chips are down. And this urge to survive is instinctual, not rational. So how can we introduce rational discussion into such an emotive topic? Where doctors are clearly set on preserving life, is there not an opportunity for the financial planner to remind their clients that just like taxes, death is inevitable, and a conversation how they would preferably like to live the last days out is critical. Unlike tax, death is not something we can avoid or evade! Atul Gawande, Harvard Medical Professor and Surgeon, is author of the book, Being Mortal, which deals with this dilemma, but from the perspective of the medical profession. He describes how doctors inevitably seek to help clients avoid or evade death, almost at all costs. As a result the departure lounge for many people is the Intensive Care Unit of their nearest hospital. Sometimes this is inevitable for those who have had an unexpected trauma or accident. But for many, as Gawande describes, this happens even after extended periods of treatment that has already compromised the patient’s quality of life. The problem Gowanda suggests is that the doctor is not broaching the subject of how the patient would like to die. Or to reframe this, how they would like to live their last months, weeks, days and hours. He suggests that it is instinctual for doctors to cure, even if this is not possible. To offer some hope. Even where there is none. He gives the example of a cancer patient who undergoes chemotherapy that is likely to extend life by a few months, but would severely compromise their quality of life. It will not “save” them. But the doctor doesn’t necessarily tell them this. He suggests that a better approach might be discussing with the patient how they would like to live the last few months of their life, and then within that decide if chemotherapy would be appropriate or not. But Gawande also acknowledges how talking about such topics is difficult, and that invariably doctors have little or no training on how to embark on such conversations. Given that these conversations with medical professionals not only have quality of life implications, but also cost implications, as brutal as it may sound, the opportunity is there for financial planners to have these conversations with clients well before the need for the survival instinct to kick in. But the conversations are not comfortable. Are not easy. And the challenge is how to have them? A first step to having these conversations may be to introduce a broader life planning approach to the work of financial planning. There are a number of financial planners who already do this. But they are a significant minority. After all it is much easier to talk about needs, numbers, products, markets, politics and even the drought. George Kinder, the founder of the Kinder Institute of Life Planning, suggests that financial planners should be asking their clients at least three key questions: If you were given five years to live what would you change? If you were given one year to live, what would you change in your life? If you were given 24 hours to live, what would you regret about your life? I know planners who have tried asking clients these questions and found them often too challenging for both client and planner. It’s easier not to ask these questions, even though as Kinder intends, these are questions to challenge clients on what they really see as important in their life. And possibly will prompt changes in their life, irrespective of their financial position. But these questions still don’t address the question of how the client wants to die. Mitch Anthony, another proponent of Life Planning, suggests that the key to getting to know your client very well is to be curious. He also emphasizes the importance of getting to know a client through discussing their past, their present, and their future. It may be in that conversation about the future, even when a client is fit and healthy, that a financial planner could introduce the topic of how the client would like to die. It may start off as a very hypothetical conversation, but it will make it much easier for the financial planner, the client and the family to have a meaningful conversation about the dying process when that inevitability is real. Having such a conversation will undoubtedly have a significant influence over the client’s financial planning, but more importantly could have profound implications for the quality of their life in their last days. Atul Gawande, Being Mortal – Illness, Medicine, and What Matters in the End, Profile Books in Association with Wellcome Collection, 2014.